If you’re a runner or know someone who is, you’re well aware that we’re in the height of marathon season. We just had the Boston Marathon of course, and it seems like every time I turn around I’m hearing about a different marathon, half-marathon, or 5 K race in my area. Antonio is even planning to run a 5 K with obstacles! Marathons are not just for runners, though. I think that the writing life is a marathon–we writers have a burning desire to get our work out there, but first we have to train for it, and then work hard every day. And just as unexpected obstacles might pop up when running a marathon on unfamiliar turf, the same thing happens as we discover our voices, move towards publication, build our platforms, and promote our work. So many writers give up their dreams at some step along the way, but persistence is key. A marathon runner is not going to drop out in the middle of the race, and we writers can’t drop out either. With that in mind, I’ve devised 5 reasons why succeeding as an author is a marathon, not a sprint. Enjoy! 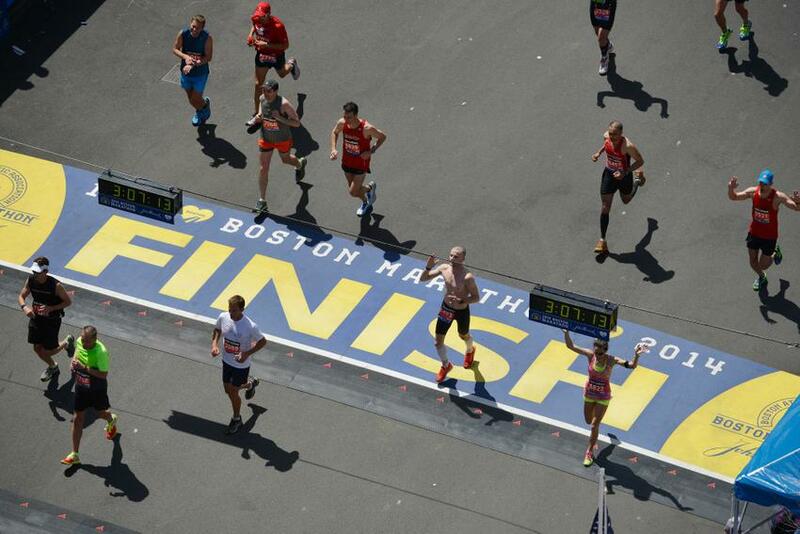 It’s a full-time job – Marathon runners train for months so they can crush it in the race. Even if they’re working full-time jobs, they wake up earlier, train in the evening, and do whatever it takes to come out ahead on race day. We writers can take a lesson from this. I worked full-time as a pharmacist, but dreamed of being a writer. So for about a year, I dedicated most of my free time to learning all about self-publishing, taking advanced writing courses, attending conferences, and, of course, practicing my writing! I treated writing as my other full-time job, and soon I was able to make it my only full-time job. You have to be in for the long haul – Sprints are quick and intense, and runners have to expend maximum energy in a short period of time. But marathons require endurance. A successful career as an author is pretty much the same. Very few authors will write one book and live off its royalties for the rest of their lives. Most of us have to write many books and keep them coming regularly. As soon as we finish one, we have to start writing another. This is not only because of how the creative process works, but also because more books=more discoverability. It’s all about setting goals – When training for a marathon, a runner must set daily and weekly goals: distances covered, running paces, and healthy eating goals. Writers can do the same thing. Weekly writing quotas keep me in line with my bigger goal of releasing one eBook per month. And it’s not only about writing quotas: the goals of successful authors also include ones related to social media and networking, timelines for speaking events, blogging, and platform building. Writing a list of goals for the day or week is one of the best ways to become more productive–and more prolific. It’s a growing process – Many runners have told me that, when they’re training for and running a marathon, they feel as though they grow not only in strength and endurance, but spiritually and mentally as well. Being an author is a constantly evolving process; we as writers are growing every day as we experience new things, find new inspiration, and hone our craft. And our reward for growing as writers is much the same as the reward for a marathon runner: not only having fans “cheering” for us, but feeling a sense of accomplishment as we grow. The mental and spiritual rewards are rich for us as well. Writers, have you had similar experiences? Can you think of any more reasons why becoming a successful author is like a marathon? As always, I welcome your feedback! yes, similar experiences. i also run, and do fall off the wagon from time to time. creating the discipline is hard. So true! I think it’s all about building momentum. I find that if I fall off the wagon, I have a harder time jumping back in to writing. It’s hard, but once the momentum is there, things get sizzling!